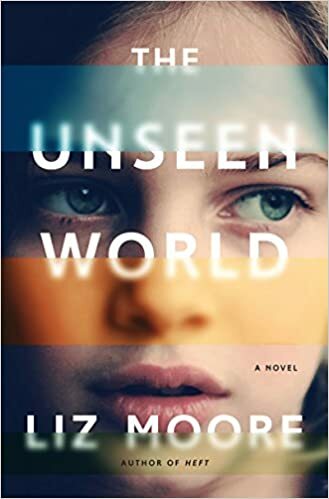 Unseen World, a fascinating and complicated novel, will capture and maintain your attention — if you’re the right sort of reader. Right for this book, I mean of course. You probably are if you’re interested in computational linguistics, artificial intelligence, online virtual worlds (as the title suggests), puzzles, cryptology, and/or related topics. But the novel is also definitely a bildungsroman, which would provide added interest to other sorts of readers. And it provides plenty of local flavor for residents of Dorchester and Cambridge. So, what is author Liz Moore up to in this strange work? How does the bizarre collection of elements mentioned in the previous paragraph fit together? Let me tell you… but only a little. You’ll have to read the book to get the rest. The protagonist, Ada Sibelius (yes, she’s named after that Ada), is home-schooled by her father, a computer scientist at a thinly disguised MIT who has created ELIXIR, a thinly disguised and vastly more advanced version of Eliza. Her home-schooling consists primarily of working at the AI Lab at MIT (I mean the “Boston Institute of Technology”), enriched by conversations on all sorts of subjects with her father and his colleagues. That lasts until Social Services finds out that Ada’s father has early-onset Alzheimer’s and that Ada’s education is not what it “should” be. So he sends her to a Catholic School in Dorchester, where they’re living. Everything here is realistic and convincing, from the descriptions of Dorchester in the ’80s to the psycho-social realities of being thrown into an unfamiliar school that is not exactly friendly to nerds. I could easily go on at greater length, but it would be hard to do so without committing spoilers. Let’s just say that there’s a revelation about David’s surprising past, and that you have to stay through the novel to the end, where you find out why it’s written in the third person even though it feels like a first-person narrative. Fascinating and complicated, as I said in my first sentence above.